Let me help — Ms. Bagley was apparently the negligent driver that caused her husband’s death. She then filed a wrongful death action against herself as her husband’s heir. The lower determined that the language of the wrongful death and survival action statutes prevents a tortfeasor from seeking recovery from herself and that the plaintiffs therefore could not bring suit against the defendant. On appeal however, Utah Court of Appeals found “that the plain language of the statutes does not bar such suits” and sent it back for trial. I wonder which table Ms Bagley sat at the trial! 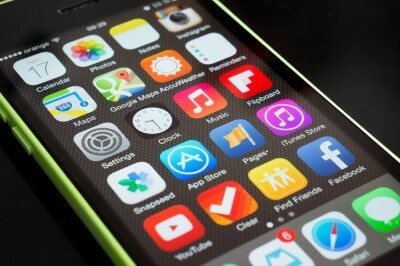 U.S. SUPREME COURTCan iPhone users sue Apple for charges to app developers? Supreme Court to decideBY DEBRA CASSENS WEISSPOSTED JUNE 18, 2018, 3:06 PM CDT inShare Dedi Grigoroiu/Shutterstock.com.The U.S. Supreme Court agreed Monday to decide whether people who buy iPhone apps can sue Apple over 30 percent commissions charged to app developers on sales.Four iPhone users are seeking triple damages in a would-be class action that alleges Apple violated antitrust law by monopolizing the app market, report SCOTUSblog, Bloomberg News, the Wall Street Journal and CNet. A federal court had ruled that consumers can’t sue because they weren’t directly overcharged, but the San Francisco-based 9th U.S. Circuit Court of Appeals reversed in January 2017.The 9th Circuit had reasoned that consumers could sue because they bought the apps through the Apple App Store. Apple’s cert petition argues the 9th Circuit erred under a 1977 Supreme Court decision, Illinois Brick Co. v. Illinois, which held that only direct purchasers can sue under antitrust law.The federal government had argued, in response to a request for its views, that the 9th Circuit had erred.The St. Louis-based 8th U.S. Circuit Court of Appeals had followed Illinois Brick in a 1998 decision. The court had held consumers could not sue Ticketmaster for an alleged monopoly over ticket distribution because the direct victims would be concert venues. The circuit split is cited in Apple’s cert petition.The case is Apple v. Pepper. Here’s a new class action lawsuit for you to ponder. According to the lawsuit, for years McDonald’s sold a Quarter Pounder, Double Quarter Pounder and the “with cheese” options as four separate menu items. At some point, however, McDonald’s “ceased separately displaying these products for purchase on menus.” Instead, the lawsuit claims, in McDonald’s updated menu only the Quarter Pounder with cheese and Double Quarter Pounder with cheese were listed. The named plaintiffs, to gather their evidence, ordered the offending quarter pounders without cheese and pasted in their receipts in to the complaint, and sure enough, the quarter pounders’ cost exactly the same, cheese or naught! I bet this would not happen at IHOb. Mississippi offers eleven possible grounds for fault-based divorce. These are impotence, adultery, incarceration, desertion, habitual drunkenness, habitual drug use, cruelty, mental illness, bigamy, pregnancy by someone else at the time of the marriage, blood relationship to your spouse, and insanity at the time of marriage. There is also a no-fault divorce called “irreconcilable differences”, but this can only be obtained if both parties agree to the divorce. Mississippi courts will only grant a divorce if the parties agree or you prove at least one of the fault-based grounds. If there’s not agreement and you cannot prove one of the grounds, the court will deny the divorce. No one wins in a divorce. By its very nature is an exercise in dividing the whole of the assets and time with children such that no one leaves the marriage with exactly what they had during. Of course, when someone makes the difficult decision to leave a marriage there are multiple factors which have brought someone to that determination. However, there is simply no way around the fact that a divorce does not produce winners, but rather an ending. In Mississippi, even for an irreconcilable differences divorce to be finalize, the complaint must be on file for at least 60-days. This is usually in addition to the months that the parties have gathered the relevant financial information and negotiated the settlement agreement. In short, no form of divorce is fast. Even those where the parties agree to everything can take several months. And of course, if there is a dispute as to custody or property distribution that requires a trial, the process can take much longer. To their credit parents often start the divorce process not wanting to effect the children. Unfortunately, this is rarely achieved, regardless of whether custody and visitation are contested. The fact is that the divorce will change children’s schedules. The children will travel from one home to the other during their regular visits. There they will have new houses, rooms in perhaps entirely different towns. And due to visitation exchanges during holidays, long-held tradition are abandoned. Always put what’s best for the children first. When drafting the agreement avoid taking a position that attempts to limit a parent’s time with the children in an effort to punish or hurt the other parent. If there is a reason to limit a parent’s time, make sure it’s based on that parent’s inability to care of the children and that any limitations are in the children’s best interests. The first step in any divorce is to determine the assets and debts of the parties. This may include your home’s equity, investments, vehicles, boats, household items, mortgages, vehicle loans, credit cards and other such debts. Once these are determined, the process can begin of how to share these between the parties in the divorce agreement. There are many ways in which this can be done and it depends very much on each parties’ circumstances. Allowing a judge to decide the outcome may not be the most desired way to resolve your differences. Be willing to consider a negotiated settlement. This is often faster and cheaper than holding a trial and then allowing a judge determine your fate. Mediation is a growing method to negotiate settlements in divorce cases. Mediation may be best described as an assisted settlement discussion. During a mediation, the third-party neutral assists the parties reach a resolution of the outstanding issues. A negotiated settlement provides the parties a method to work toward a resolution. By working with one another the parties gain some control in the outcome of the case. In many cases a negotiated resolution is a faster method to resolving the issues which allows the parties to move on with their lives.